Need some advice on the care and feeding of your espresso machine? Looking for some general tech tips on your new equipment? Check out these support articles created by SCG's tech team. Brew Group Maintenance - Brew group cleanliness means super tasty shots. We cover general cleaning processes for superautomatics with a removable brew group, superautomatics with a fixed/internal brew group, semi-automatics without a 3-way solenoid valve and semi-automatics with them. 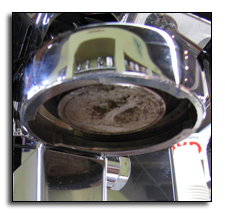 How to Descale a Home Espresso Machine - Regularly descaling your equipment will increase its overall life. This step-by-step guide gives instructions on how to do this on single boilers, heat exchange or double boiler and superautomatic espresso machines, as well as recommends descaling products. How to Drain the Boiler - Removing all the water from your machine (not just the water tank) before shipping or storing will decrease the potential for water damage. Follow these simple steps to perform this on your espresso machine. How to Package an Espresso Machine for Shipping - We asked one of our packing experts to provide advice on how to pack up an espresso machine in order to mitigate shipping damage. Watch these helpful videos to find out.